There are 4 ways to feedback problems. We will contact you by email or leave note online to solve and improve the problems . 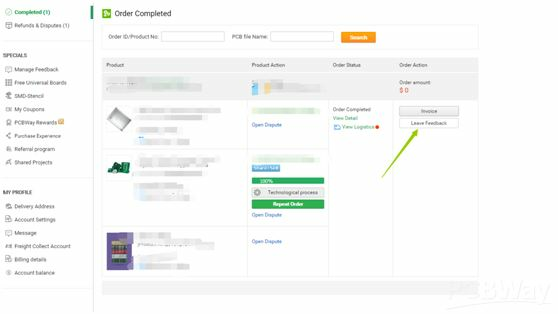 1.Pls find below picture, you can click "Open Dispute" for the relevant order. Then there will be one dispute in the "Refunds &Disputes" item. 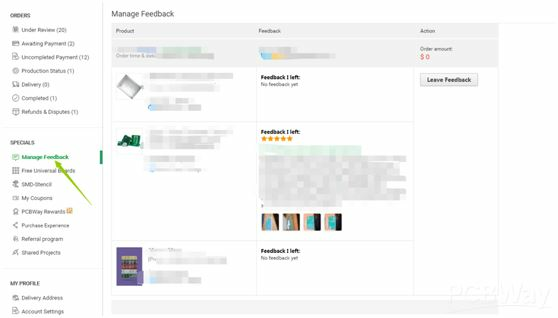 2.Pls click "Leave Feedback" for the relevant order, then there will be one piece feedback in the "manage feedback" item. 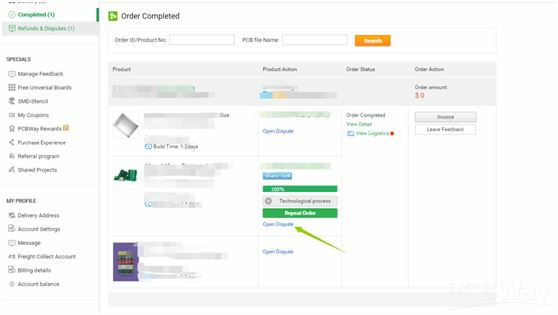 3.Pls send the problems and pictures to email address:feedback@pcbway.com . 4.Pls send the problems and pictures to your service people.